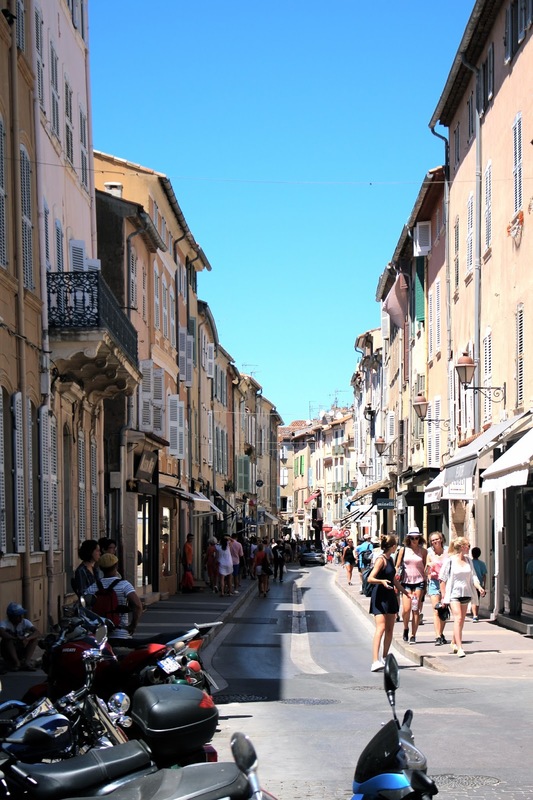 After making the 30 minute trip via boat from Sainte-Maxime to Saint-Tropez, a while was spent wandering through the warm (and busy) streets before eventually reaching La Tarte Tropézienne. Having picked up a cake from the very same place a few years ago, it seemed like a brilliant opportunity to check out its first floor restaurant above this time. One thing is for certain, it lives up to its reputation. The air conditioning induced smiles all round and the interior design was faultless. What did I eat? A chicken mayonnaise baguette, followed by a Tarte Tropézienne - of course! Thank goodness for peplum tops, because that meal was filling! 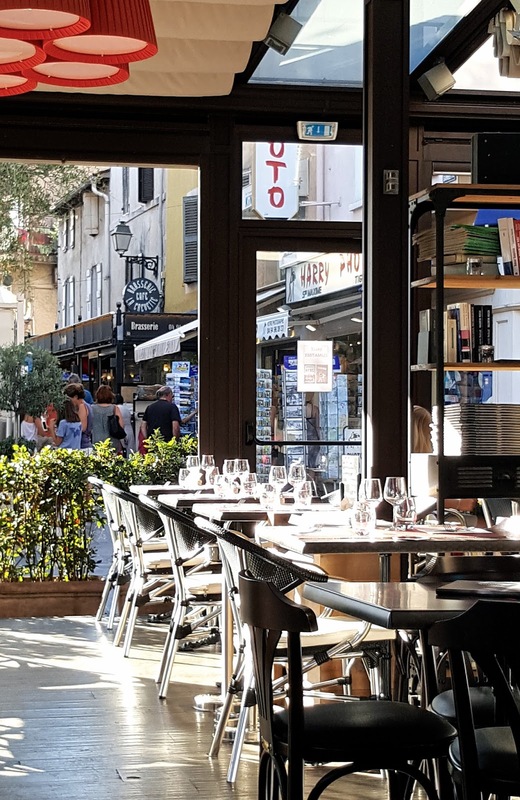 Truly, I can't imagine a better way to have spent our final day in the South of France; surrounded by the heat, electric atmosphere and polished facades. Fast forward to the late hours of the afternoon and back at the villa, I finally got around to finishing off my macaron supply - when in France, right?! Getting dressed for the evening was bittersweet, as the return home the next day was at the forefront of my mind. However, the prospect of an indulgent 'last meal' at Le Café de France (followed by overzealous jewellery shopping) worked like a charm in ensuring a smile on my face at all times. Speaking of which, if you find yourself at the newly refurbished restaurant, you've absolutely got to try the chocolate fondant pudding! What better way to end such a dreamy trip, than with a night spent watching the moon shine down on the sea? 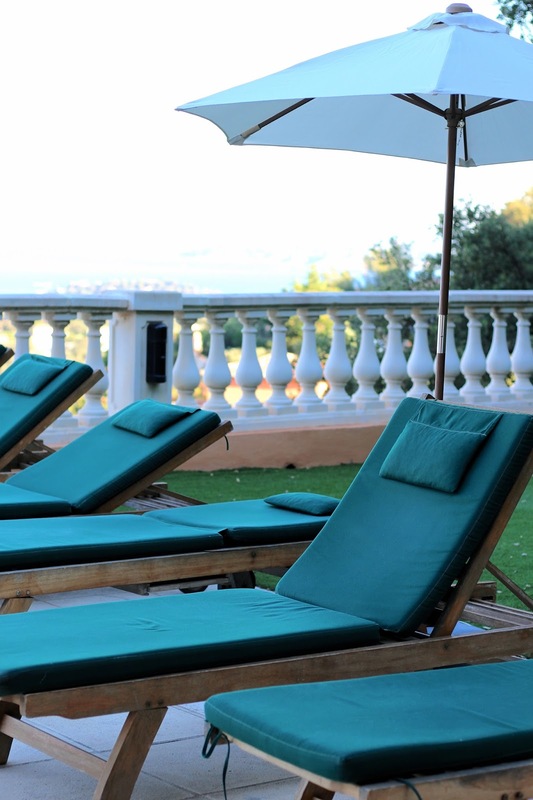 Similar to most nights spent in the beautiful Côte d'Azur, I lost track of time and ended up falling asleep across one of the patio's sofas before moving indoors later. Bliss. Anyway, I've loved reminiscing July's journey to the South of France with you - I hope you've enjoyed the ride! Au revoir! Need a ticket to France asap! That plate of macarons is so cute, oh my goodness. It sounds like you had such a fantastic trip! I've been dying of jealousy since the first pic and still am! So much envy! This looks like the most fabulous vacation! I wish I could be there right now! Such beautiful photos Gabrielle, your trip sounds amazing and like a perfect relaxing break while you soaked up the sun. Hope you're okay after your pool slip as well, that really does sound like something I would do! Looks like it was such a lovely time of year to have an adventure in the South of France. That scene of the moon over the sea in last shot is just gorgeous! I would imagine it was even more impressive in person. The slipping bit - ouch. I keep telling you this, but I swear you've been embodying Summer. I envy that ability. This is a gorgeous post, you look like you had a gorgeous time, and I've definitely enjoyed the ride! I have added this to my must see places already after reading 2 parts...this is another great post hope you have not hurt your elbows much? So sweet of you to say - it's completely heeled now, thank you! What an incredible trip- love the shots! How how gorgeous are you in that fun bikini?! Love these photos! I'm so glad you liked France! Hope you enjoyed a lot! Now I miss the sun just looking at your fabulous photos. Fall is somehow descending prematurely in our city of Bergen. I need another vacay! Wonderful photos! I wish I was there, it looks so beautiful. France has always been on my list of places to travel to because of the food and culture. Those macarons look delicious!! Also, please share your fitness routine and such because seriously I'm jealous of your body! I've loved living vicariously through you! This travel diary has been what wanderlust dreams are made of! You make me want to go on a vacation immediately. Your pics of your travels really has me feeling inspired. I might not make it to the South of France but your post has made me realize I deserve a vacation. The pictures are fantastic and it looks like you had the best time. I did enjoy the ride. 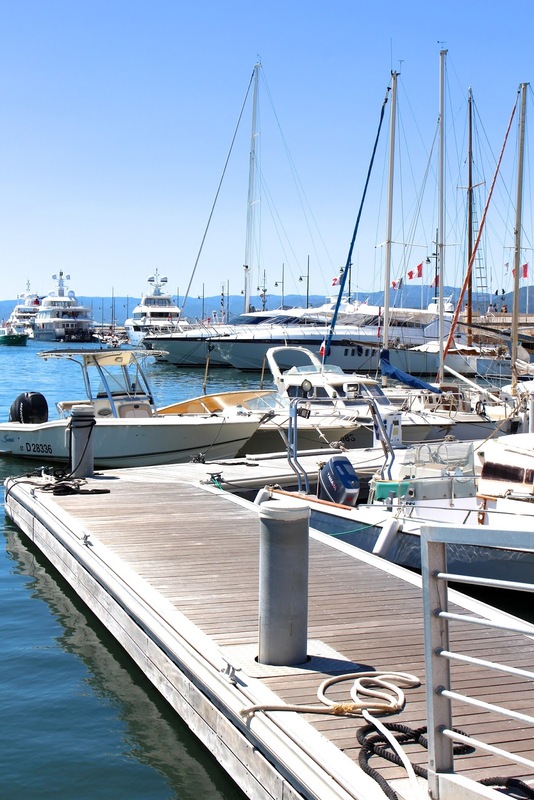 It has been wonderful exploring the South of France in these last few posts with you. This villa looks amazing, no wonderful you liked spending time there. The views are marvellous...but you managed to outshine the panorama in that bikini. You look phenomenal. 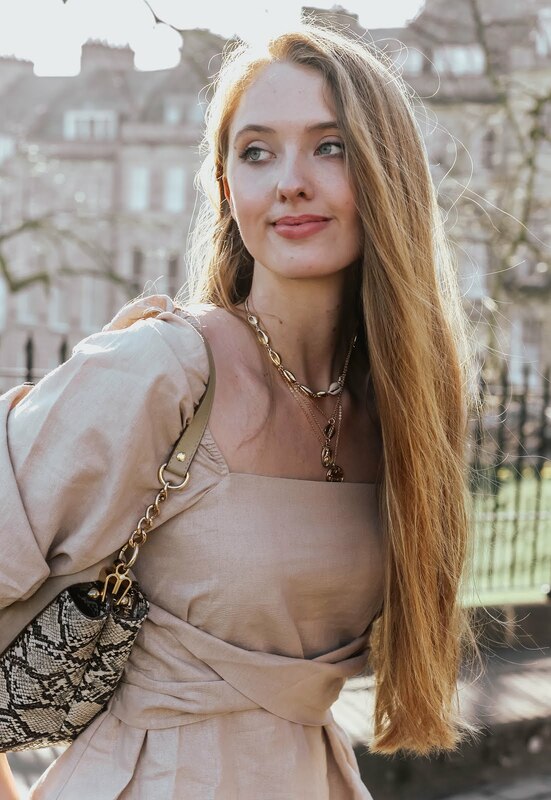 You made me laugh with that comment about peplum tops...sure, they can come in handy sometimes, especially after a filling meal:) I'm happy to hear you found a nice place to dine...that photo in the alley is fabulous, like sth from an editorial! You look great in this outfit. The views are absolutely incredible & you look absolutely beautiful. Hahahaha I totally agree with you that peplum tops are the savior after a big meal. I can't even tell you how much I love your photos. This makes me want to go to the South of France so bad. I am so glad to hear you had an amazing trip and had so much fun following your adventure. what a great trip, loved the photos! Doughnuts, macarons & infinity pool! OMG, you're really enjoying yourself so hard Gabrielle :D I can't wait to go on such a vacay soon!! These photos (and you Gabrielle) are absolutely stunning! You have me missing the South of France so much. What a wonderful trip! What a lovely way to spend your last day - that view is incredible and it looks so great at night time! I enjoyed it very much. I read all 3 parts of your journey, love your photography and writing skills. Gabrielle, this post is the definition of dreamy!! You look absolutely stunning in every photo and the backdrop, breathtaking! Wow, this was truly a dreamy series. Right now, I'm imagining I'm sunbathing in France. Your photos are stunning as always. You got some incredible shots there! I hope your elbow heals up fast. Thanks for sharing your journey with us! It's always bittersweet coming to the end of a holiday, but it sounds like you had such a great time and ate a lot of wonderful food, which is a key part of any holiday for me! I like to see you enjoy the vacation. One more time, the pictures are fabulous ! I love it. The south of the frans is so beautiful.